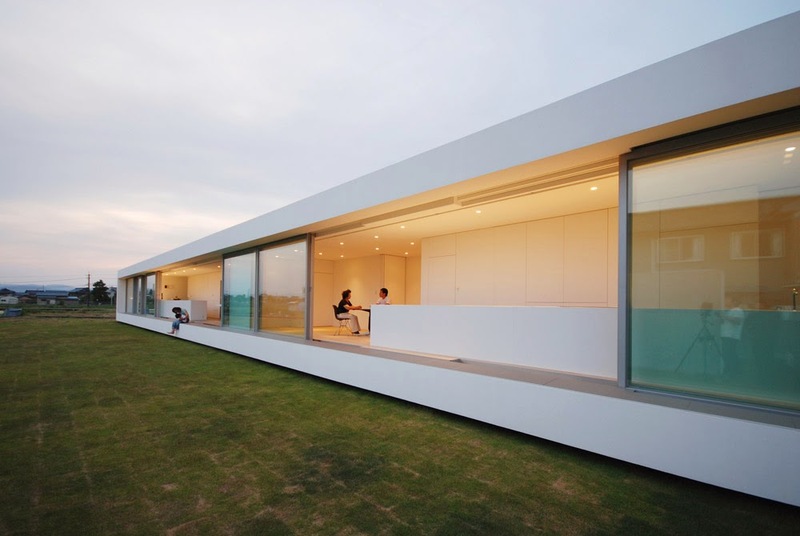 Japanese Architects Shinichi Ogawa & Associates designed minimalist M Residence, located in Fukui, Japan. 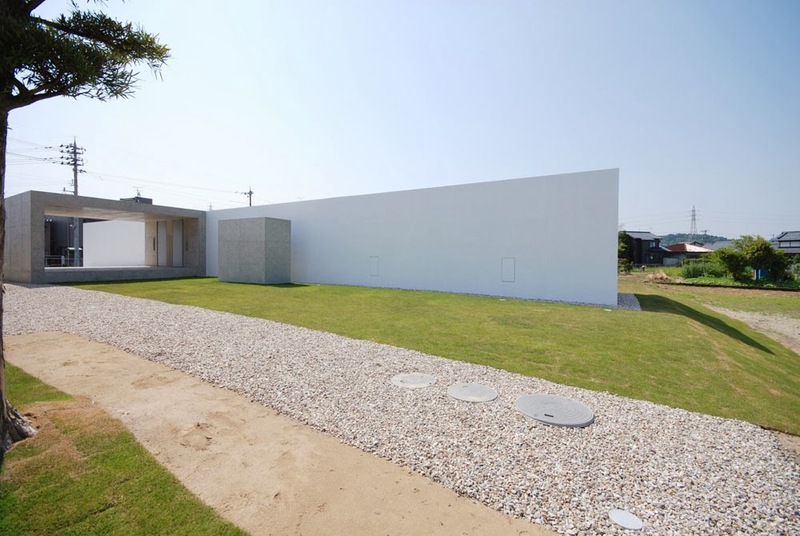 The house consists of two pure, cube volumes, one white plastered that house two families and a concrete grey volume hosting the entrance & garage area. 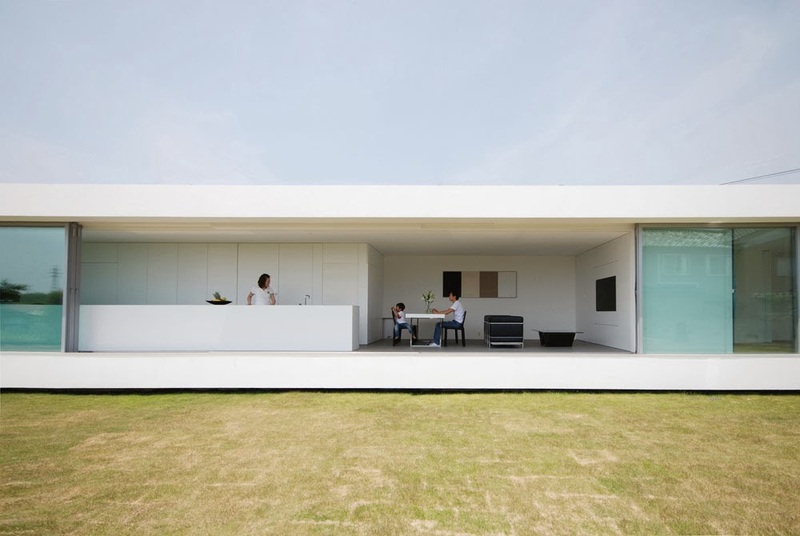 Sitting on the rural scenery of Fukui, this residence was created for a young couple with a child, and his grandmother. 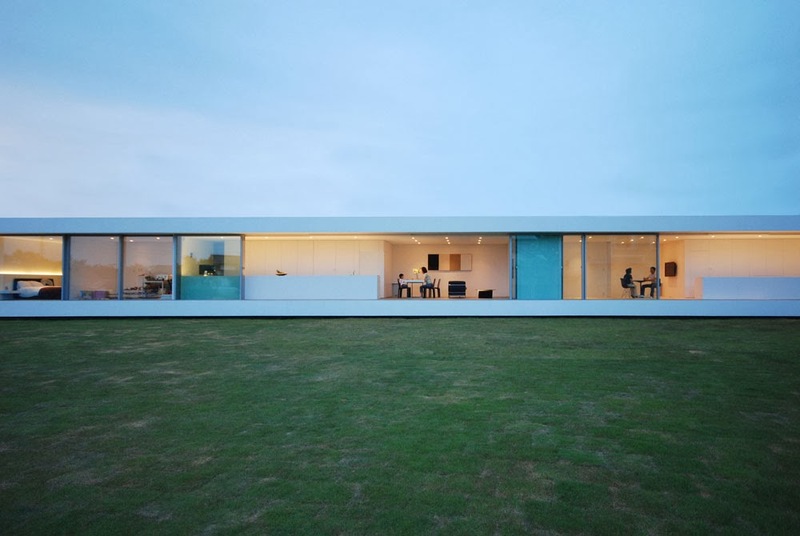 Softly floating above the ground, the house consists of two pure geometric volumes, like a box-culvert. 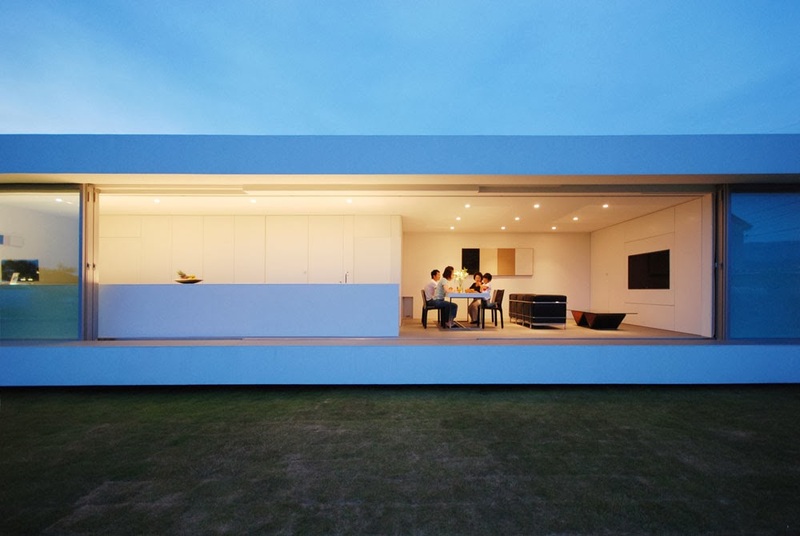 In the white volume of 36m long, two families live separately, sharing a large garden. The west side is the couple’s house and the east side is the grandmother’s house. To the north, a smaller gray volume of 6m x 6m x 3.6m works as a common entrance porch and car park, protecting from snow. 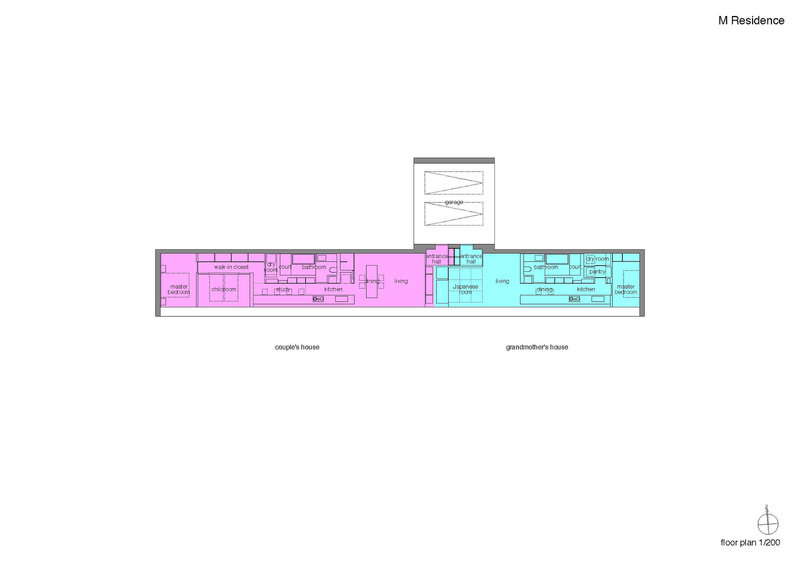 Along the box’s total lenght, all the interior spaces are arranged in a fluid way, with no corridors and a minimal rational design. 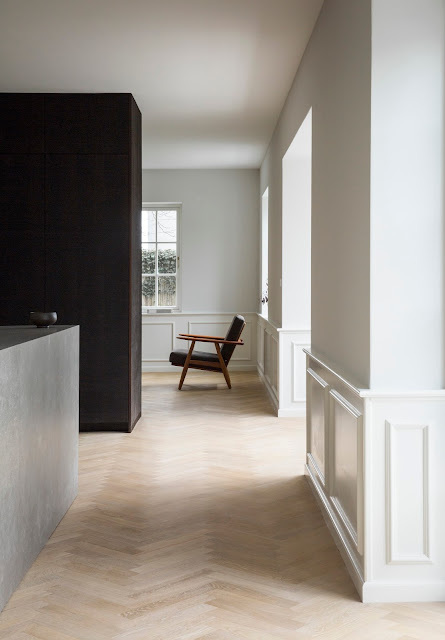 Thus, all the social areas come together in an open space, where the long counters, parallel to the south windows, act as a key multifunctional element, working either as a kitchen, a dining table or a study desk. 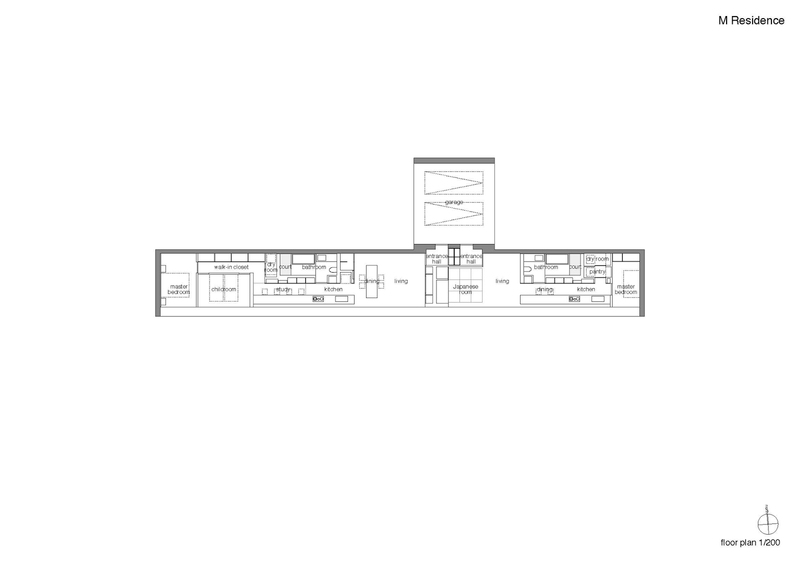 As for the private bedrooms, one is able to access them through all these referred open space areas. 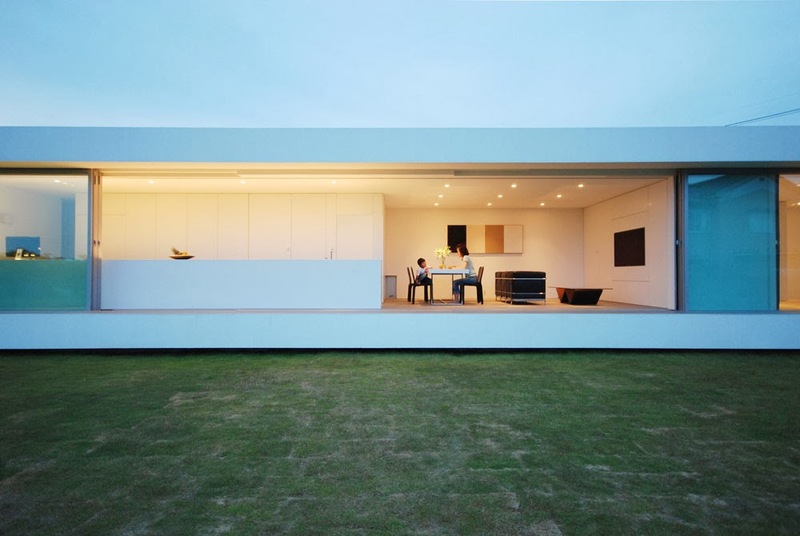 Facing south, the house maintains a continuous relation with the exterior, constantly framing the views towards the landscape. 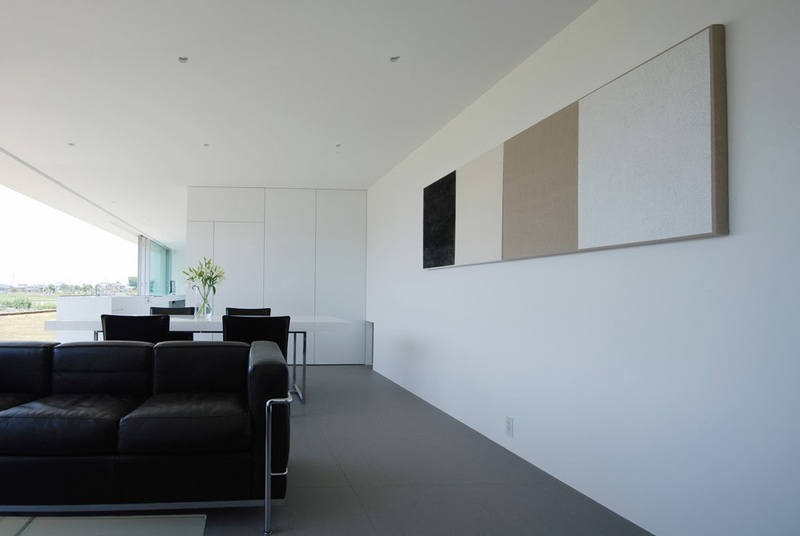 Fully open to the wide natural green, all interior spaces connect with the garden, blending in with the exterior and, therefore, transforming interior living with a series of rich environments throughout the year – M residence becomes boundless. Only bathrooms face to an inner private court. 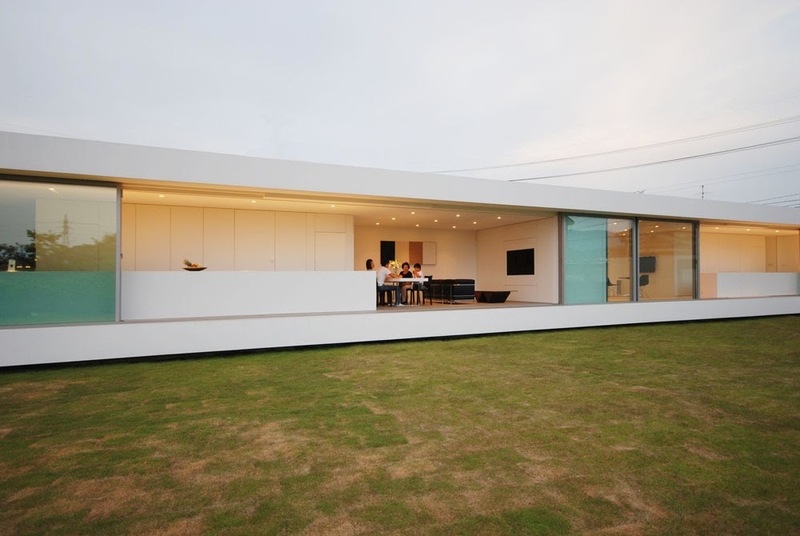 The composition of the house keeps the proper distance between the two families, combining them gently at the same time.